Today is Pi Day. Because the 14th of March could be written as 3.14, the first three digits for the irrational number we all learned something about in elementary mathematics. Of course, this little bit of trivia only works if you’re writing the date as we do in the US. The whole exercise falls apart in most of the rest of the world where they traditionally write the day before the month. 14.3 makes no sense. Anyway, beyond the fluff of memorizing lots of the digits and serving actual pies to math teachers (which we do appreciate), pi is a core mathematical concept with a long history and many important applications. In this New Yorker article from three years ago, a math professor at Cornell University briefly offers a few reasons Why Pi Matters. 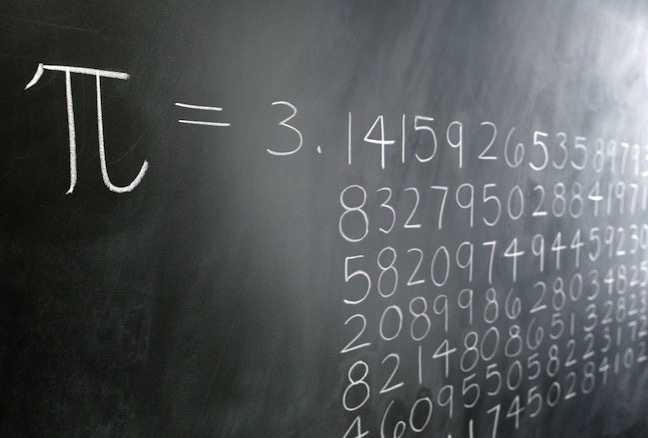 So it’s fair to ask: Why do mathematicians care so much about pi? Is it some kind of weird circle fixation? Hardly. The beauty of pi, in part, is that it puts infinity within reach. Even young children get this. The digits of pi never end and never show a pattern. They go on forever, seemingly at random—except that they can’t possibly be random, because they embody the order inherent in a perfect circle. This tension between order and randomness is one of the most tantalizing aspects of pi. A little knowledge makes for a better Pi Day. The image is from the header of the New Yorker article. ← Understanding Blockchain. Sorta. Maybe.